Nate Funmaker is the owner of Nathaniel’s Hat Shop, open in Mancos, Colorado, since 2000. 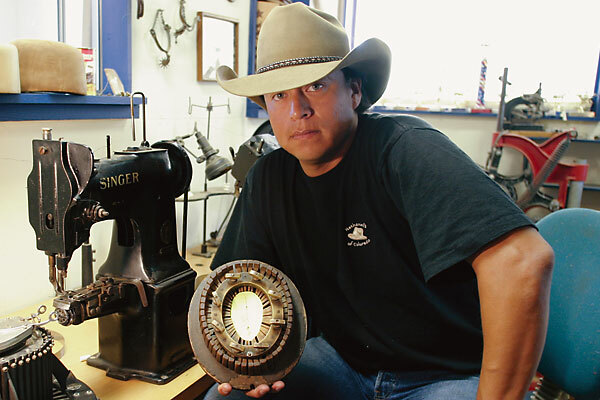 He is credited as being the only American Indian hatter in the world, and he specializes in making custom beaver fur hats with an 1895 conformitor. Nate was born in Wisconsin into the Ho-Chunk (formerly Winnebago) tribe, the tenth of 11 children born to Adam and Doris Funmaker, both artists. He lives in Mancos with his wife Kerrie and their three children.